Funny yet deeply moving, this “pitch perfect” (San Francisco Chronicle) novel delivers a thoughtful meditation on the power of storytelling. 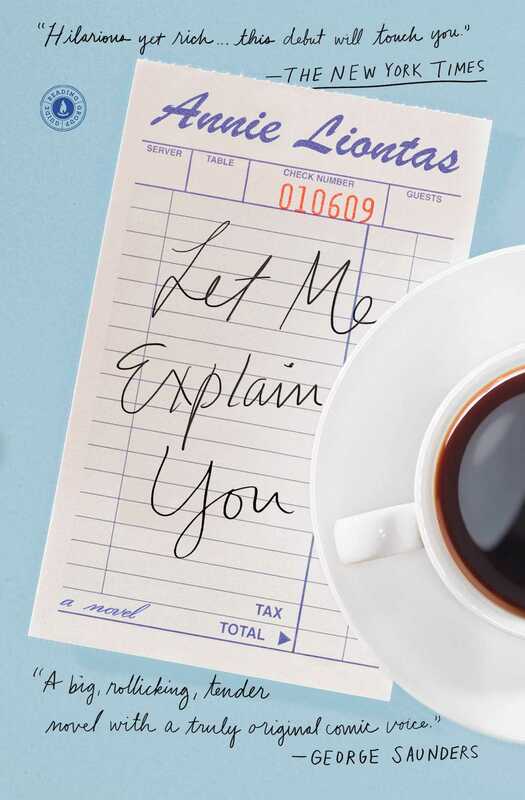 In Let Me Explain You, Annie Liontas explores our origins and family myths, the relationship between fathers and daughters, the complex bond of sisterhood, hunger and what feeds us, but “the novel’s true heart is one filled with love and forgiveness” (Minneapolis Star-Tribune). This reading group guide for Let Me Explain You includes an introduction, discussion questions, and ideas for enhancing your book club. The suggested questions are intended to help your reading group find new and interesting angles and topics for your discussion. We hope that these ideas will enrich your conversation and increase your enjoyment of the book. Haunted by a dream and a goat, Greek immigrant and diner owner Stavros Stavros Mavrakis composes an email to his three daughters and ex-wife predicting his death in ten days’ time. But the advice he freely hands out proves little more than laughable to his children, who are busy building their own adult lives: Stavroula, a talented restaurateur, pines for her boss’s daughter; Litza, wounded but strong, is trying to find her own way through the world; Ruby has eloped. Meanwhile, Stavros’s increasingly frantic attempts to arrange his affairs bring up difficult questions for his daughters not only about their relationships with their father, but about the bonds they share with each other. As an idle threat transforms over ten days into a very real crisis, the Mavrakis family must learn how to grow and how to forgive. 1. The title of the novel takes its name from Stavros’s opening admonishment of his family, a phrase in broken English that typifies this patriarch’s tone. For Stavroula it is haunting, this “Let me explain you something that had been explaining to her, all night, what she needed to do” (page 34). Consider how Stavroula and Litza turn the refrain around and adopt it to empower themselves. 2. In his opening email, Stavros implores Litza to let God help her find the right path, but also admits to personal doubts. He writes, “I have questions for God—Are you real? Are you here for me, Stavros Stavros Steve Mavrakis? Am I Your Forgotten Son?” (page 8). How does this doubt relate to the Last Supper that Stavros prepares on page 99? Where else do you see religious imagery playing a role in Let Me Explain You? 3. Liontas structured her novel in ten daylong chapters counting down what Stavros believes to be his final week and a half on earth. Considering that the chapter titles refer to the well-known “stages of grief,” how do you interpret this structure? 4. Carol describes how neatly folding and stacking Ruby’s jeans lead her to sense “a similar layering happening in her daughter’s life” (page 64). What unique experiences does Carol have parenting Ruby that she did not have as a stepmother to Stavroula and Litza? 5. As a child, Litza adored her estranged mother despite the fact that she can only recall her “in blurs that more resembled bruises than face” (page 116). But after establishing a relationship, Litza admits that “living with Dina during her teenage years was worse than life with her parents” (page 310). Why do you think this is? 6. When Stavros asserts that the things that matter are “work, succeeding, a house, a business, children to carry the Mavrakis name,” Dina responds skeptically (page 206). How does Dina’s childhood affair with Angelos inform this conversation with her husband? What do you make of her persistent fantasy, borne of youthful disappointment, of “finally getting that baby elephant, stringing it with lights, strutting it through town, and delivering it to Papous’s doorstep, where he would come back from being dead just to give her a thousand kisses” (page 258)? 7. Before he disappears, a lullaby lifts a weight from Stavros’s shoulders “up to the stars to take its place in their glinting faces” (page 125). Litza also has a comparable experience when she visits the cathedral on page 162, and on page 219 Dina drives her plane “farther, farther, farther, into the thermosphere. Just shy of crossing the Kármán line, the thin airless boundary between atmosphere and space.” How do you interpret the theme of weightlessness throughout Let Me Explain You? 8. A goat appears in Stavros’s portentous dream, and a real goat lingers at his diner. This animal appears as a significant symbol throughout in the novel. What do you think of the way Stavros addresses the prematurely born Stavroula as “little goat” (page 253)? 9. When Stavros eats galaktoboureko in the United States for the first time, he remembers the way his mother used to prepare the pastry and “without realizing it [he] was makinggalaktoboureko into something foreign: from now on when he thought of galaktoboureko, as a father or an old man, he would not just remember galaktoboureko in Greece. He would have to remember galaktoboureko in America” (page 240). How does this idea of the immigrant experience compare to Marina’s sense of “reinvention” in America? 10. Consider Stavros’s metaphorical use of eggs on page 157 (“In the history of the world, it is eggs that have change everything”). 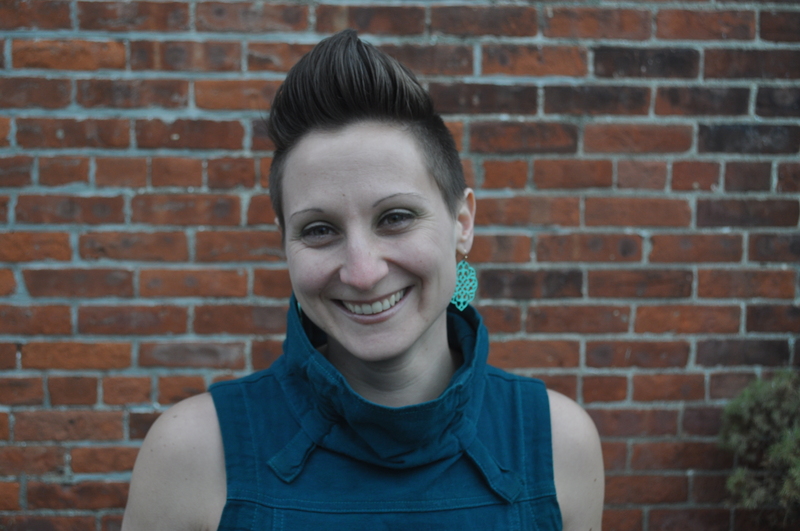 Dina details the “Year of the Broken Yolks.” How do their worldviews converge, and how are they distinct? 11. When Stavroula achieves a level of intimacy with July, she realizes that “this was kindness. A friend, giving her shelter” (page 320). Given the way she weighs Mother’s love against July’s love on pages 70 and 71, how do you interpret this later scene? What might Stavroula and July’s future together look like? 12. On pages 300 through 302, Liontas summons a story of three daughters—“the first, as dear as gold. The second, as dear as wood. The third, as dear as salt”—that ends with the third daughter buried beneath her father’s “throne of salt.” The epilogue on pages 339 and 340 includes an unsent letter in which Stavros imagines holding three daughters as if they were fish—“one is beautiful, one has gills so small it is a miracle that she survives, and one is so fierce she is like a dark star exploding”—and ultimately dying as a whale for them to feed on. In what other ways does Liontas employ folklore in the novel? 1. On page 309 Litza rejects the ideas proposed in To Live Until We Say Good-bye by Elisabeth Kübler-Ross, whose five stages of grief Liontas uses as chapter titles throughout Let Me Explain You. Take a look at a copy of To Live Until We Say Good-bye and On Death and Dying. How useful do you feel self-help books are in difficult times? Discuss your opinion with your book group in light of your own life experience. 2. Young Stavros’s courtship of Dina is informed by his sense of the American Dream: “What better place to be a man? To work, to earn, to imagine a life richer than his parents’, to prove his brothers wrong, to make something his own, to make children who would honor him and gratefully inherit his fortune. What better place to reinvent himself—to reinvent the world?” (page 197). What experience, directly or indirectly, have you had with the expectations immigrants bring to the United States about personal success? Can you imagine a foreign place where you might be able to better realize your dreams? Discuss. 3. The snapshot of Stavroula and Litza in Stavros’s office betrays a lot about their relationship as children (page 86). Share a photograph with your book group that you feel shows something about your relationship with a friend or family member and explain the context behind the picture. "We don’t hear much from the Greek-American school of literature, which makes LET ME EXPLAIN YOU, a hilarious yet rich novel about Stavros Stavros Mavrakis, an immigrant from Crete, his perception of his own mortality, and the women in his life, even more of a treat than grandma’s galaktoboureko,the custard pastry for which his flagship diner, the Gala, is named. This debut by Annie Liontas will touch you even if your own roots are not steeped in Greek coffee." "Darkly comic... Liontas shows compassion for her characters even as she plumbs their dysfunction. Seeded with family anecdotes, the novel’s true heart is one filled with love and forgiveness." "A tale of an immigrant family rendered with unusual care." "A funny and moving rumination on the beauty and complexity of familial bonds... a page-turner that concludes in an unexpected way." "Liontas adds tremendously to the novel's ambiance through Stavros's idiomatic language, expertly reveals the layers of her characters' lives, and perfectly captures their emotional temperatures in an unputdownable read." "Tradition and transformation are the ingredients that make up this Greek American family... Liontas's multigenerational tale of miscommunications and mistakes is a delectable, provocative achievement." "A lively portrait ... this simultaneously sad and funny story of a first-generation immigrant and hisrocky family relationships will resonate with a broad range of readers." "Let Me Explain You is about the American dream: the good, the bad, the ugly and the hilariously relatable... Liontas tells her story masterfully. We’re invited into the family’s inside jokes, and we laugh, hurt and cry with the characters as they peel away the family drama and generational divides and, somewhat unexpectedly, find love at the center of their story." "Liontas’ energetic saga infuses a poignant family drama with raucous humor and outsize characters... Let Me Explain You has both heart and hilarity, the perfect combination." "Evocative... while Steve’s elephantine personality could virtually constitute its own Greek chorus, Liontas writes the women who surround him with equal amounts of verve, and more than enough heart, to soften his rough edges." "Disappointment, survival, resilience, and triumph: it’s a heady brew, as strong as the coffee served in a Greek kafenio... a generous helping of humor strikes the perfect bittersweet balance." "Humorous and heartfelt... treats its characters with so much empathy and tenderness that it's hard not to think of the Mavrakis family as any other than the reader's own." Liontas awards all her characters a deeply inhabited interiority... pitch perfect... explores what it means to be foreign — to a place, to those around us and to ourselves — and what we take in, what we long for and how we interpret it... Liontas beautifully explores the ways we devour one life to create another... This is what I want from fiction, a story that is, and makes me feel, very much alive. "The strange saga of a Greek immigrant family deals with sexuality, superstition, and lots of yummy food... thoroughly engaging."